– VIM is an acronym created by Dallas Willard in his book, Renovation of the Heart. V stands for Vision, I stands for Intention, and M stands for Means. Willard calls this a “reliable pattern of change” that can be found in virtually all successful programs working on changing patterns of behavior such as AA or Weight Watchers. I have used VIM in changes involving fitness, career, and spiritual matters. This comes from a posts I published on Jan. 24 regarding the VIM pattern: From 2002-2006, my wife and I did intense work at an inner city ministry. Leah ran the kitchen and I volunteered with various ministries and efforts. One thing that I tried to do was meet with some of the men who had recently become followers of Christ. We tried to meet a couple of times a month to read scripture and learn more about what it means to follow Jesus. As so often happens, our meetings kind of fizzled out and we were not meeting regularly. A few months later, one of the guys, who I had not seen in several months, came back around and reminded me of some of the things that he learned from our small group. This guy was barely literate but the one thing that he remembered was the VIM pattern of change. Vision – What can you envision yourself becoming through the renovation of your heart into Christlikeness? Intention – Have you decided that your vision of your transformed self is important enough that you will do whatever it takes to see it become a reality? Means – What tools and practices can you begin using to help achieve change? Are their items to read? Classes to take? Church ministries to be involved in? – Read Colossians 3: 1-17 and then ponder verse 15 – Let the peace of Christ rule in your hearts, since as members of one body you were called to peace. And be thankful. More from my VIM post from Jan. 24: Why is intention so important? We all can see ourselves changed and are well aware of the means that are out there for achieving the change but until we have made a firm decision that our changed self is worth pursuing then the means will do us no good. I can think back in my own life when efforts to change failed and point to a lack of intention as the culprit. What is Jesus teaching me? That God answers prayer. I can think of two instances in the past few days where I prayed for something specific and my prayers were answered. I have tried over the last year to pay more attention to how God answers my prayers and to thank him for his answer. I am oblivious, or too self absorbed, most of the time to recognize that God has indeed answered my prayer. O Lord, may you open my eyes to all of the ways that you are providing for me, protecting me, and making your presence known. What answers to prayer have you noticed over the last several weeks? How would you rate your ability to recognize God’s work in your life? What could you do to be more aware of God’s action in your life? 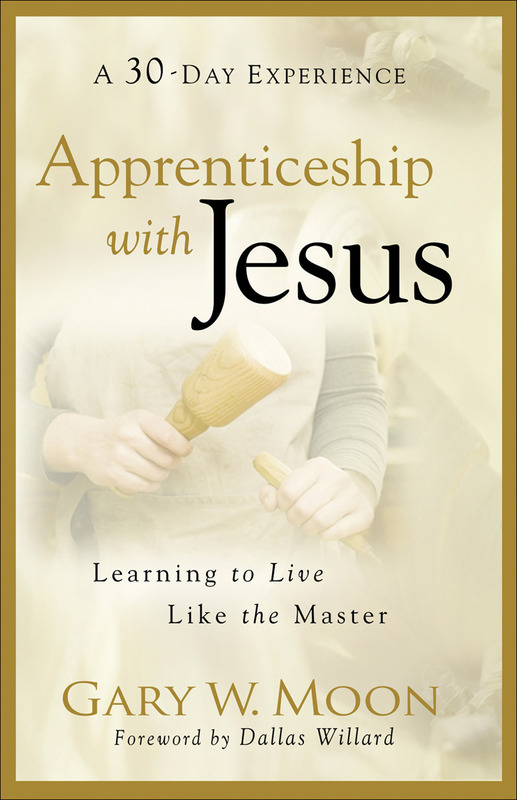 This entry was posted in Lenten study and tagged apprenticeship with Jesus, Dallas Willard, Gary W. Moon, VIM by Scott Jeffries. Bookmark the permalink.